3. What Is the Capital Gains Tax on Gifted Property Sold in India? 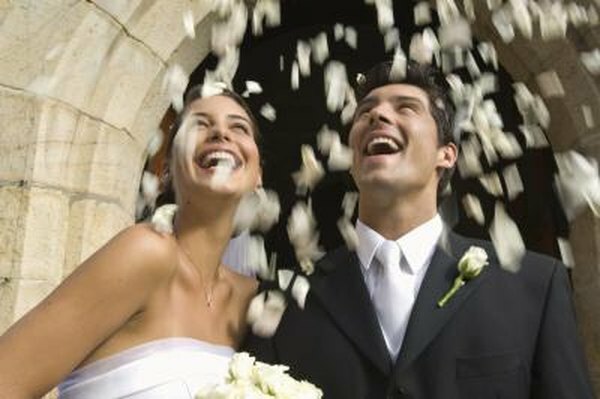 Filing your taxes may be the last thing on your mind before the wedding, but you may need to do some research to avoid penalties. The American and Canadian systems of taxation are quite complex. Basically, U.S. tax laws are based on citizenship, while Canadian tax rules are based on residence. As a result, both Americans and Canadians may end up paying taxes to both countries in certain circumstances. The United States requires U.S. citizens and residents to pay federal taxes on worldwide income, irrespective of where they live and work. Therefore, even if you move to Canada with your spouse and make no income in the U.S. anymore, you will still have to pay taxes to the U.S. federal government. Conversely, if your Canadian spouse will move to the U.S. -- even temporarily -- he or she may be considered a U.S. resident for tax purposes. Canada requires its citizens and residents to pay taxes on worldwide income based on their residency. If you live in Canada more than 183 days in a year -- even as a non-resident – you will be considered a resident for tax purposes and have to pay taxes to the Canadian Revenue Agency (CRA). If your spouse moves to the U.S. and severs all residential ties with Canada, then -- after 24 months -- that spouse may stop paying taxes to the CRA. Both Canadians and Americans can use different methods to avoid double taxation. One way would be the U.S. tax law called foreign earned income exclusion, in which you can exclude up to $80,000 from income earned outside the U.S. Furthermore, both Canadian and U.S. tax systems include the foreign tax credit rule. In this case, if you pay taxes to CRA on Canadian-source income, for example, you can counterbalance your U.S. tax on that income. If both of you have to file tax returns to the U.S. Internal Revenue Services (IRS), it is more cost-effective to file your worldwide income jointly. The joint file is particularly advantageous if one of you has a considerable income and the other one has low no income. If both of you file taxes to the CRA, you must file separately; you should mention, however, your spouse’s income on your individual tax return. Another factor to keep in mind is the different tax deductions that you may benefit from in the two countries. For example, in the U.S. you can deduct your home mortgage interest and property taxes, while in Canada you cannot. In Canada, however, you can deduct your Registered Retirement Savings Plan (RRSP), your education expenses and your medical bills. Also, state taxes are deductible in the U.S., while provincial taxes are not deductible in Canada.